The Permaculture Association (Britain) is the charity that supports and promotes permaculture in Britain and worldwide. Permaculture is an ecological design system that is being used all around the globe to create healthy, productive and sustainable places to work, rest and play. Good Energy is Britain’s only 100% renewable electricity supplier, all their electricity is sourced from the natural energy of wind, sun and water. No nuclear. No Coal. No Gas. By switching your electricity provider to Good Energy, you can significantly reduce your household’s CO2 emissions by up to one third without changing your lifestyle. Friends of the Earth shopping Friends of the Earth campaigns for solutions to environmental problems. Our Shop offers you a range of green books and free resources to inspire you to be part of the solution too. Whatever your interest, from climate change and transport, to real food and recycling, we’ve got it covered. Ecotricity is an electricity company with a difference. They take the money their customers spend on electricity and invest it in clean forms of power like wind energy. Ecotricity invest more per customer in building new sources of renewable energy than all the other British suppliers put together. In fact over the last four years, for every £1 a customer has spent on their bill, Ecotricity has invested £1 in building new wind turbines. Green Mobile is Britain’s first environmentally friendly landline and mobile phone service provider for both home and business. It also offers customers highly competitive rates. Meaning you can go green and save money. Spencer Ivy provides stylish electric bicycles that are a great alternative to everyday cars and public transport. Their bicycles enable people to save time and money on their travel or commute, whilst also reaping in the health and environmental benefits of normal pedaling. The on-demand electric assist makes light work of tackling steep hills and are great for carrying heavy loads such as your shopping or child. And dutch ltd – a taste of Dutch lifestyle! The online bicycle store that offers exclusive Dutch design bicycles for the UK market. 20’s Plenty for Us – is the National Campaign for community wide 20mph limits, without humps, where people live. 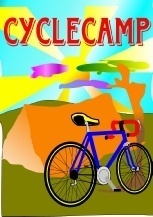 Cyclecamp – is a network of cyclist-friendly campsites and a doorway for all kinds of useful information about cycle camping. Their aim is to promote cycle camping in the UK and improve facilities for cycle campers. Investing Ethically Ltd – is a company of Ethical Independent Financial Advisers specialising in socially responsible, environmental and ethical investment. They will donate 10% of all initial fees to the ETA Trust if you mention us.